The number of bathroom remodels we have completed in the Quad Cities area in the past few years has just continued to grow and grow. 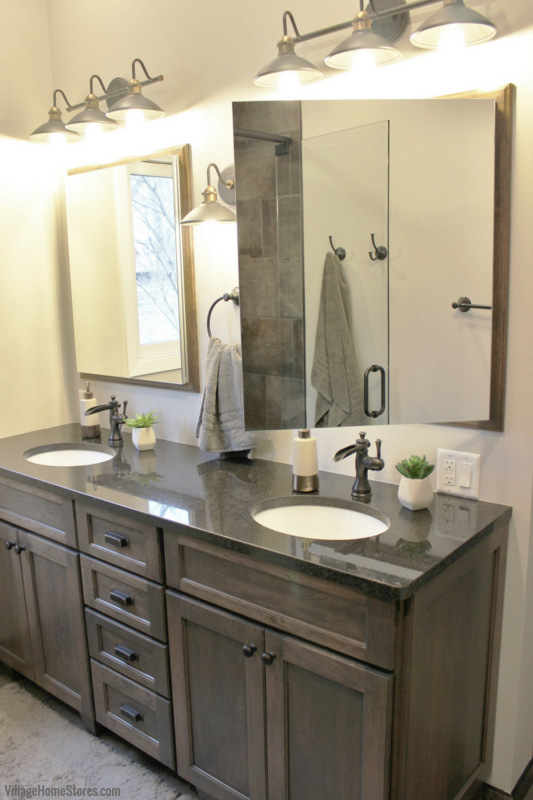 Bathroom remodels can be an overwhelming project to take on yourself and that is why our Complete Project Management Program includes a process specifically planned out for our bathroom customers. We can manage everything for you from start to finish. 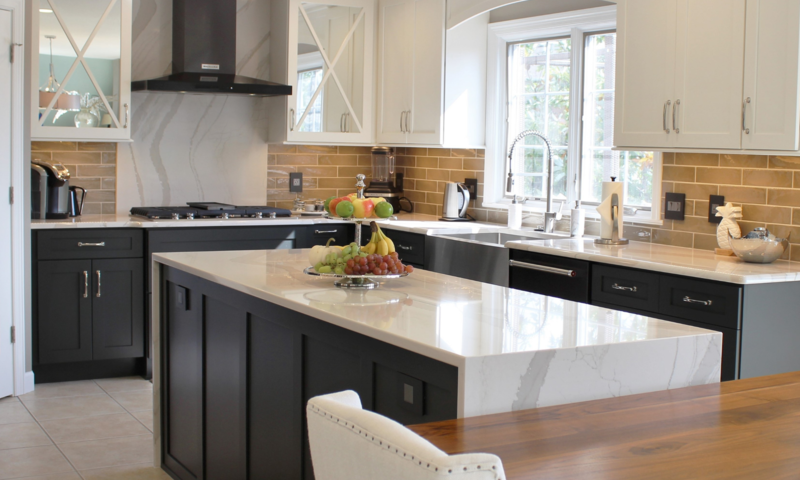 This recent project in Moline, IL turned out wonderful and we wanted to show you around. The main wall of the bathroom includes a large vanity area with two sinks, unique lighting, and framed recessed medicine cabinets. 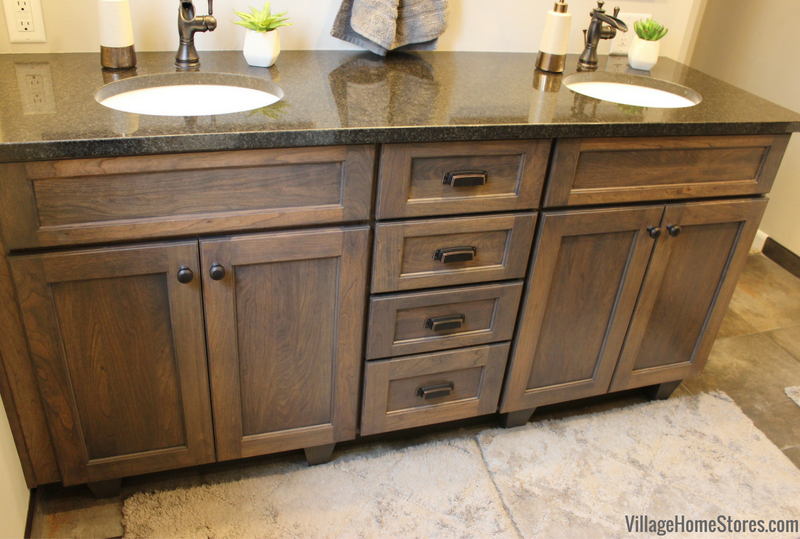 The vanity cabinetry is a Koch Cherry cabinet in the Vicksburg door and “Stone” stained finish. A stack of drawers at the center and added decorative feet complete the look. Atop most of the “wish lists” of our bath remodel customers is a tiled shower. This shower includes two showerheads, one on each end wall. These fixtures each have their own controls and even the option of a handheld showerhead. 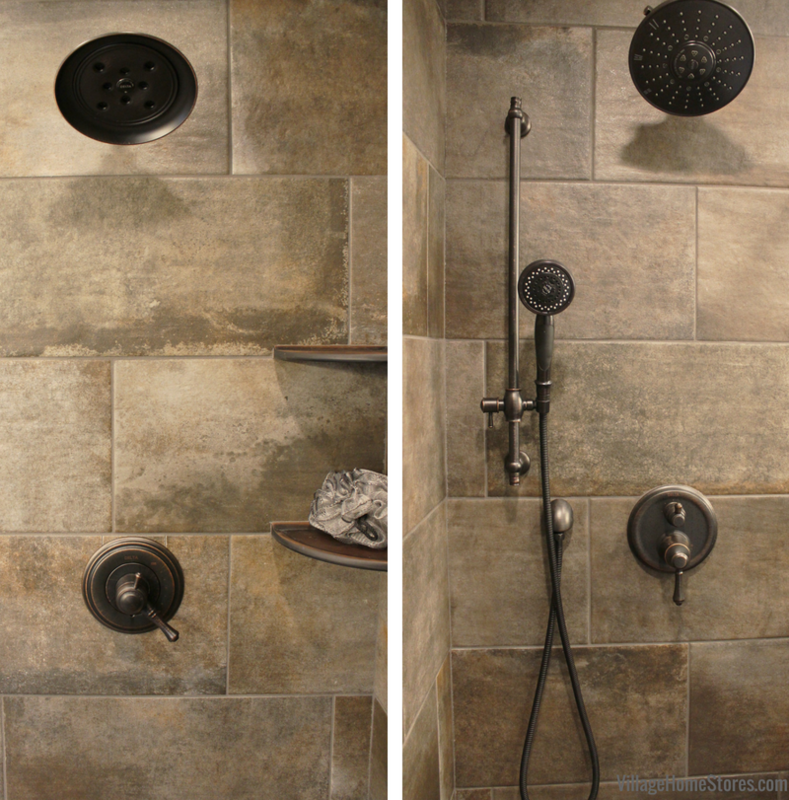 Selecting the fixtures, tile, and shape of your shower aren’t the only decisions to be made. 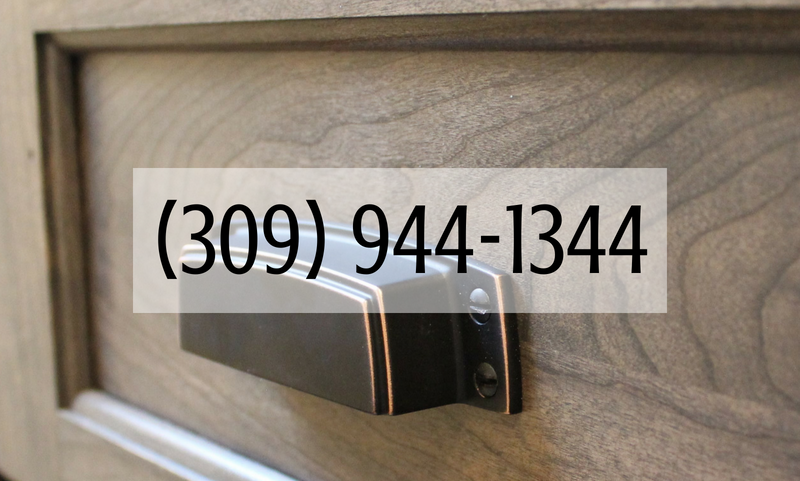 Our flooring and wall tile sales staff will also work with you to discuss any wall niches or custom shelves to be included in the installation. 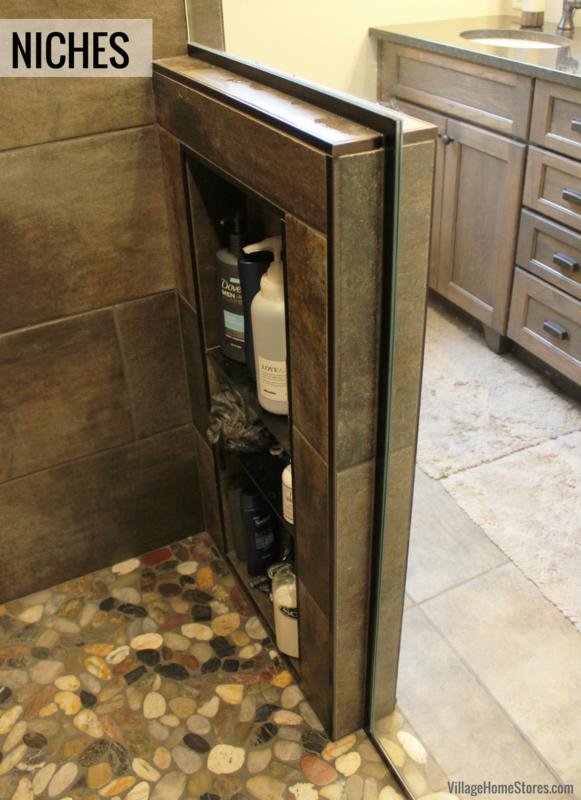 This shower includes a custom niche hidden behind a half wall at the entry to the shower. This keeps the shelf (and its contents) accessible for the user but invisible to any guest just using the toilet or vanity area. Our staff will also discuss with you ready-made options like these corner shelves that can be installed with the tile. Benches and footrests are another popular request. 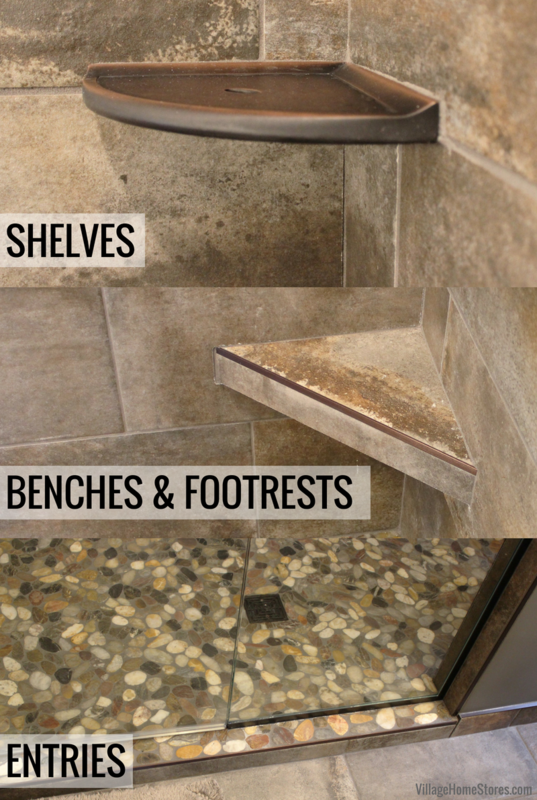 Something as large as a bench that stretches the full width of a shower, or even just a small corner ledge to rest your foot while shaving your legs. Each option can be such a practical feature to a tiled shower area. The entry into your tiled shower will also be a part of the discussion. These decisions will also help us to decide the best shower door options you have if you are in need of one. Many of our tiled showers can be designed now to not need full glass doors. Check out the walk-in shower n this past featured bath remodel. Accessibility can also be adjusted for clients needing zero-entry options without a step up and into the shower. 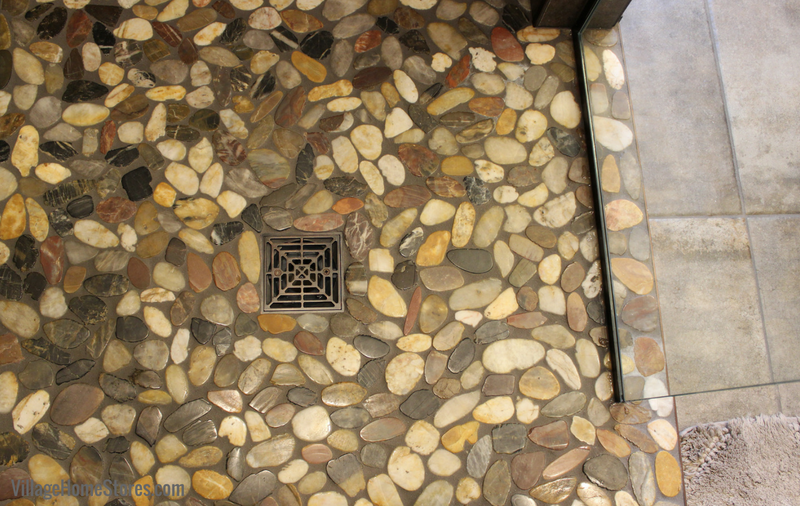 We love the pebbled tile selected for this shower floor. The floor of the bathroom has been trimmed off in a way that we wanted to showcase. 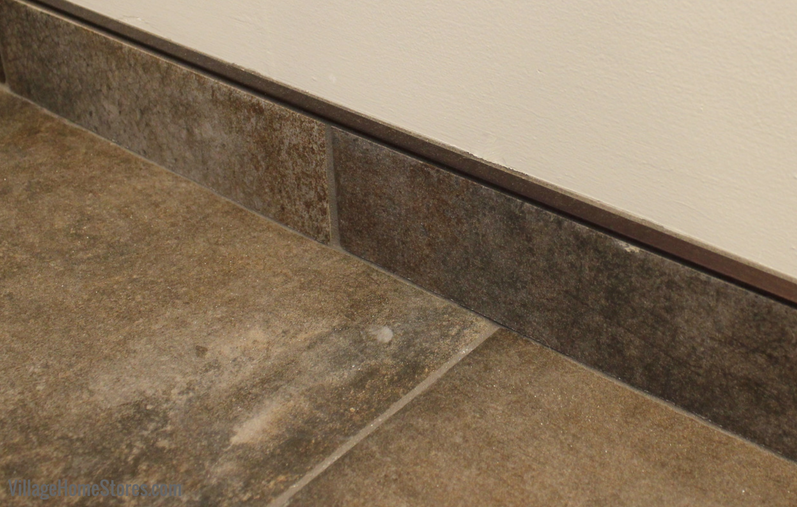 In place of a tiled floor with wooden baseboard, this bath has a short row of tile installed as a baseboard with a metal Schluter strip capping it off on top. This makes for a very easy to clean and mop flooring installation. 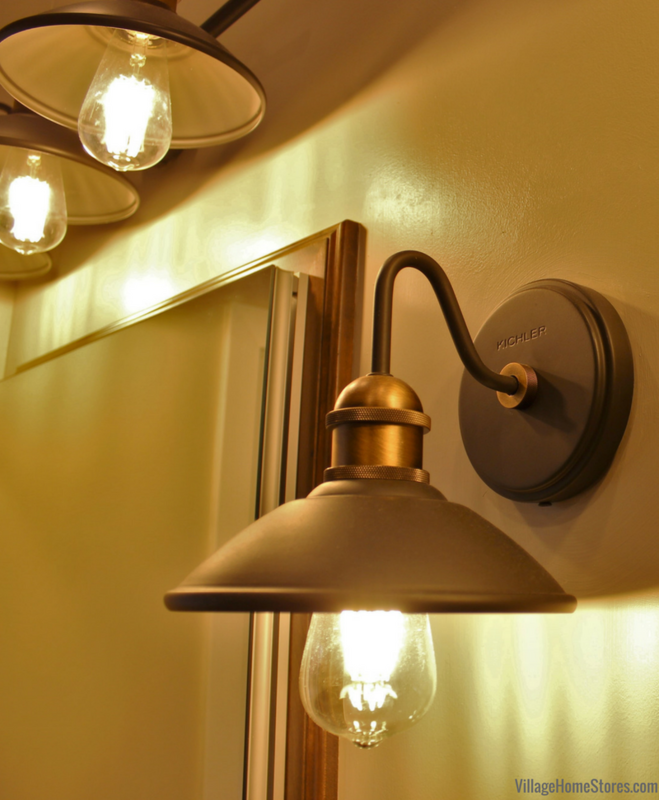 Unique lighting from our Kichler line blends a dark bronze finish with accents of brushed gold. The shape of the lighting gives a transitional look and a filament bulb style lends itself to the farmhouse style. A 3-light fixture hangs above each mirror and sink and a single wall sconce in the center adds more light and a great added touch of style. 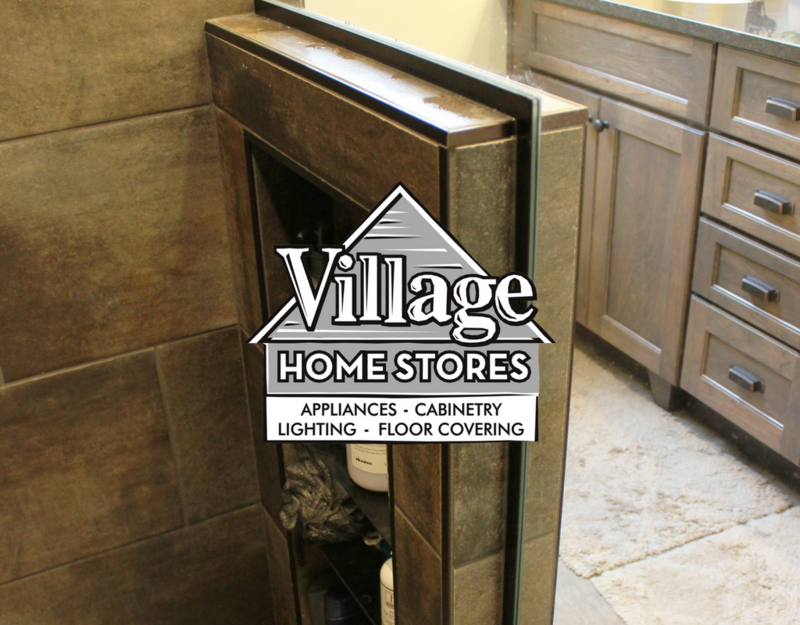 Are you ready to start the conversation about your own bathroom remodel with Village Home Stores? Your first step is just to reach out to us. We can help as little or as much as you need. Call us at 309 944 1344 or complete this short form online and a member of our team will reach out to you to walk you through our process. We can’t wait to hear what your dream bathroom looks like!